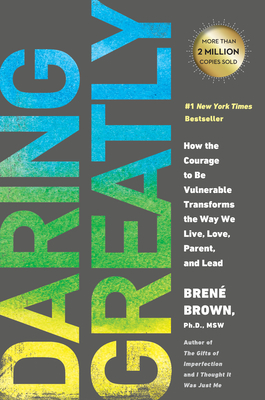 "I deeply trust Brené Brown--her research, her intelligence, her integrity, and her personhood. So when she definitively lands on the one most important value we can cultivate for professional success, relationship health, parental joy, and courageous, passionate living...well, I sit up and take notice . . . even when that one most critical value turns out to be the risky act of being vulnerable. She dared greatly to write this book, and you will benefit greatly to read it and to put its razor-sharp wisdom into action in your own life and work." "Daring Greatly is an important book -- a timely warning about the danger of pursuing certainty and control above all. Brené Brown offers all of us a valuable guide to the real reward of vulnerability: Greater courage."